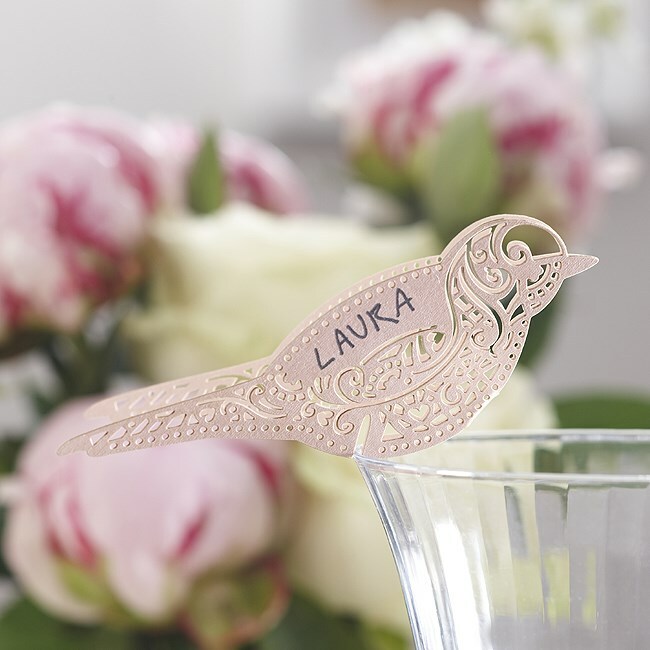 These charming pink bird shaped cards sit on the side of a glass and can be used as wedding place card or simply as a decoration. 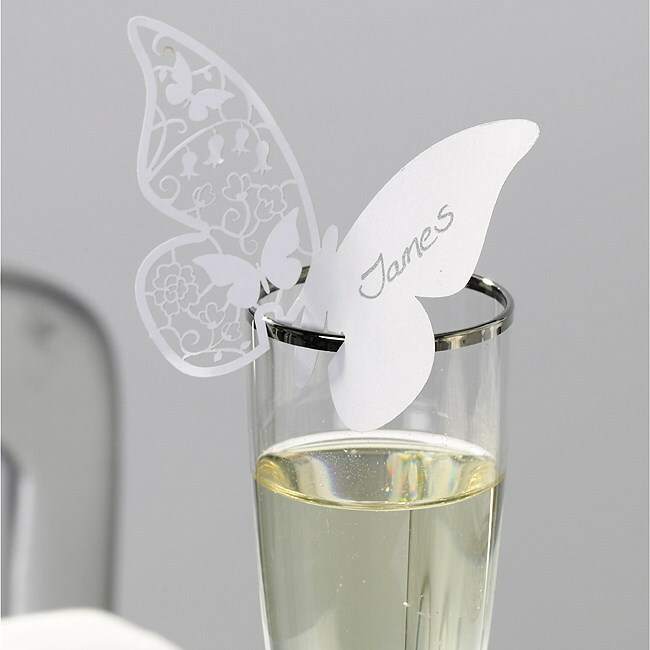 They are delicately laser cut giving them a transparent and sheer appearance and add a touch of vintage elegance to your table. Also available in white, gold and ivory.